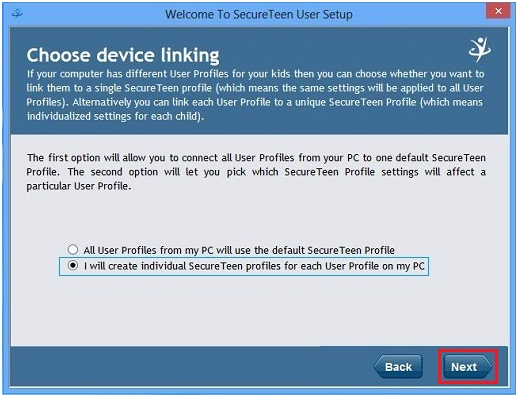 If you do not have SecureTeen on your PC, you can link the child profile during installation. 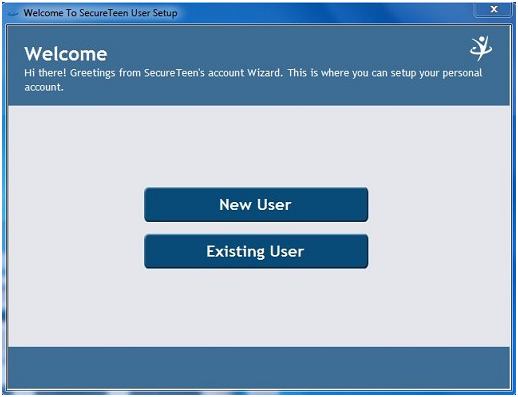 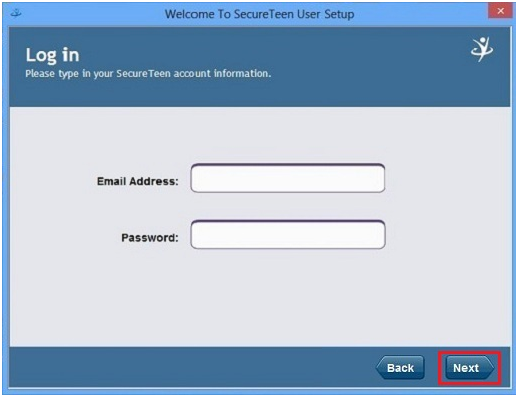 Existing User Login: Enter your SecureTeen username and credentials; Press "Next" (Figure 3). 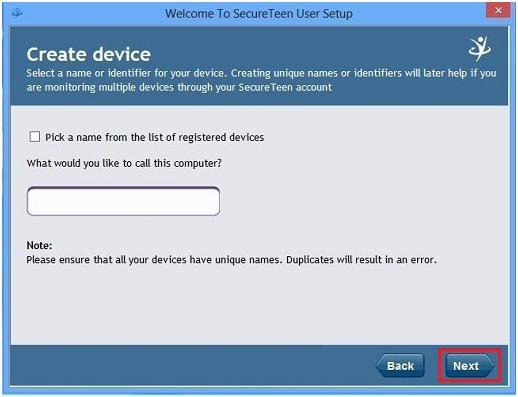 Now you need to choose your device linking type. 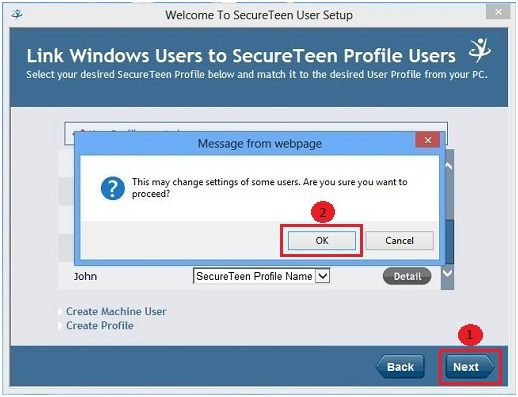 There are two type of linking available for the SecureTeen account, Basic and Advance. In Basic mode your all Machine Users will be mapped to a single SecureTeen Profile. 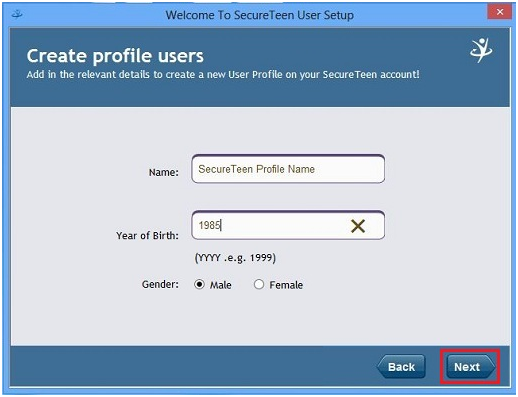 Default profile will created automatically by administrator of the SecureTeen Dashboard. 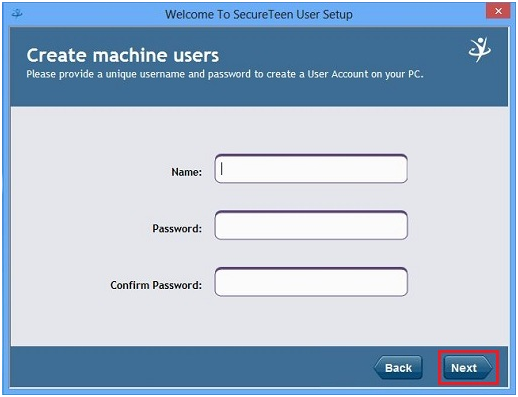 As shown in the Figure 5, Select first option and Press "Next". 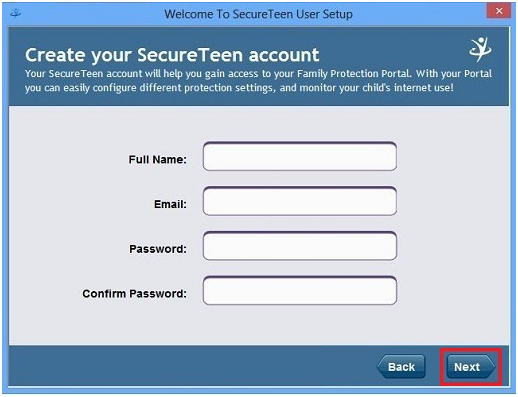 Now will lead you to finish page directly. 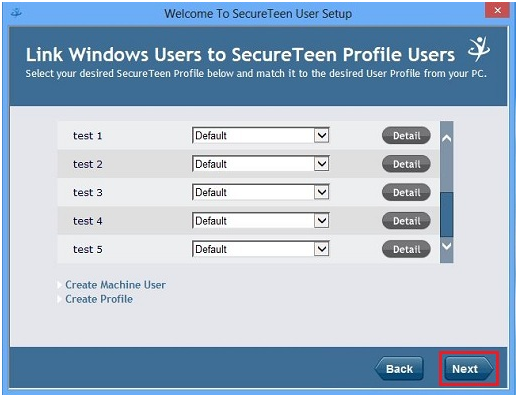 How do I create a child profile from my SecureTeen Dashboard? 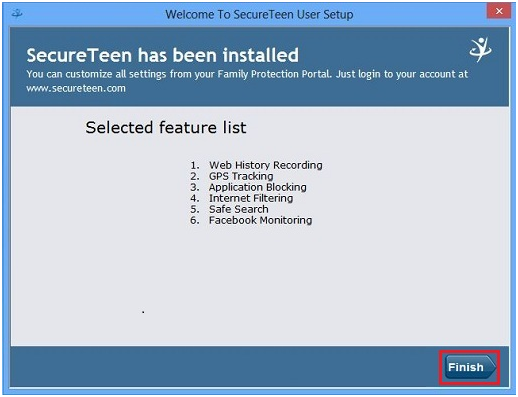 How do I edit a child profile? How do I create a child profile on Windows PC?